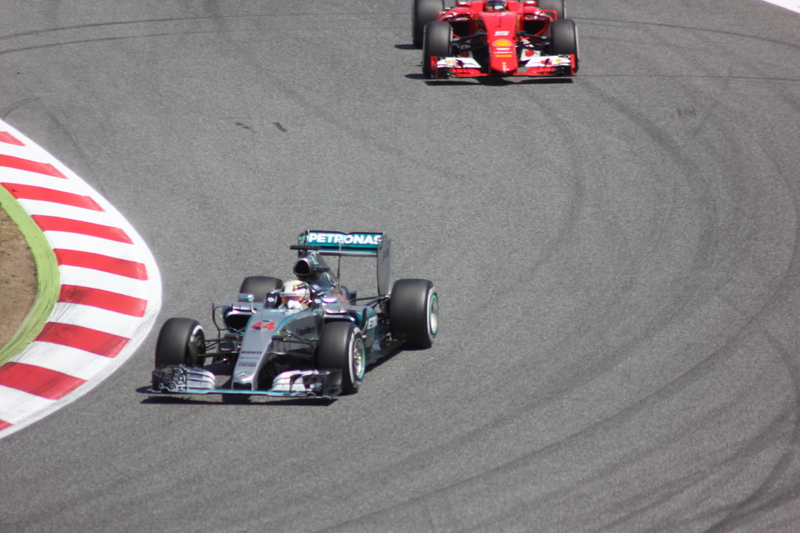 For years, the Spanish Grand Prix has been a race that I thought did not deserve to be mentioned amongst the great races, and the same went for the track. Both of these viewpoints were challenged in a very serious way during my first ever race weekend at the Circuit de Catalunya. I was incredibly excited for my first Grand Prix of the year (thankfully I managed not to squeal when I realised Sky F1 reporter Ted Kravitz was on our flight from Gatwick to Barcelona!) The train to the circuit was a pretty painless experience and certainly was easier than the train from Milan to Monza. 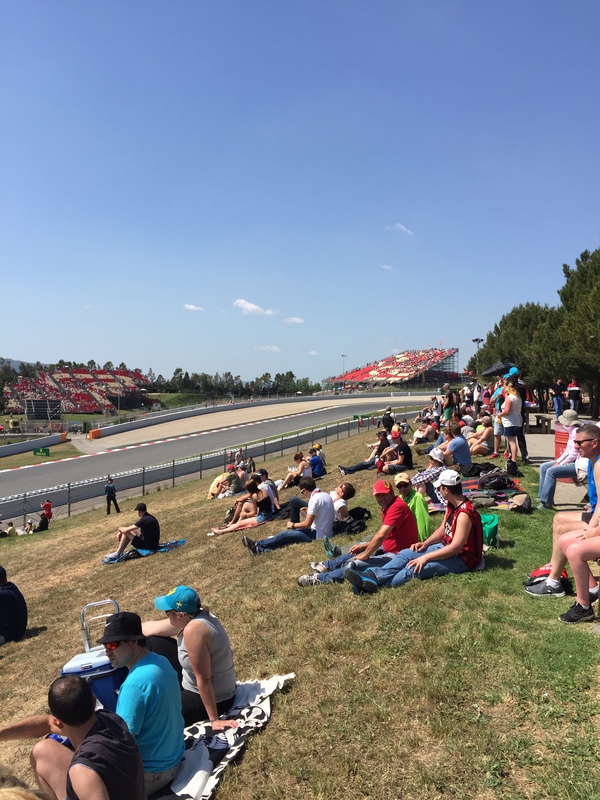 My first impression of the place (aside from the heat and the glorious surroundings of the Montmelo hills) was that the circuit is massively more inspiring than it ever appears on television. The undulations for instance provide ample opportunities to photograph a Formula One car without catch fencing blocking the view, which is something of a rarity these days at modern F1 tracks. I began at the exit of turn three and walked in the direction of the cars: every corner gave a unique viewpoint and each seemed better than the last. I had that familiar feeling as I had in Melbourne for the Australian Grand Prix of exploring a place I felt I already knew intimately from television and Playstation! 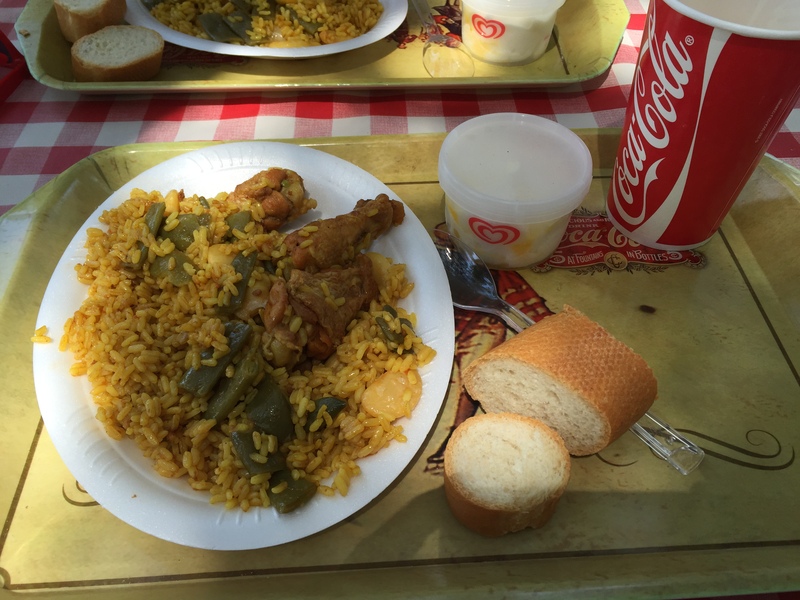 For lunch we couldn’t not have paella with chicken, followed by ice cream. It certainly beat the traditional UK motor racing circuit ‘swamp burgers’ and greasy donuts! Our grandstand was at the ‘stadium’ section in the final sector. It’s a brilliant complex because the cars are surrounded by grandstands on three sides and the atmosphere was electric. Our vantage point also meant we got to see the cars for a prolonged period of time rather than just having them zip by. Man was it hot though exposed without shade. 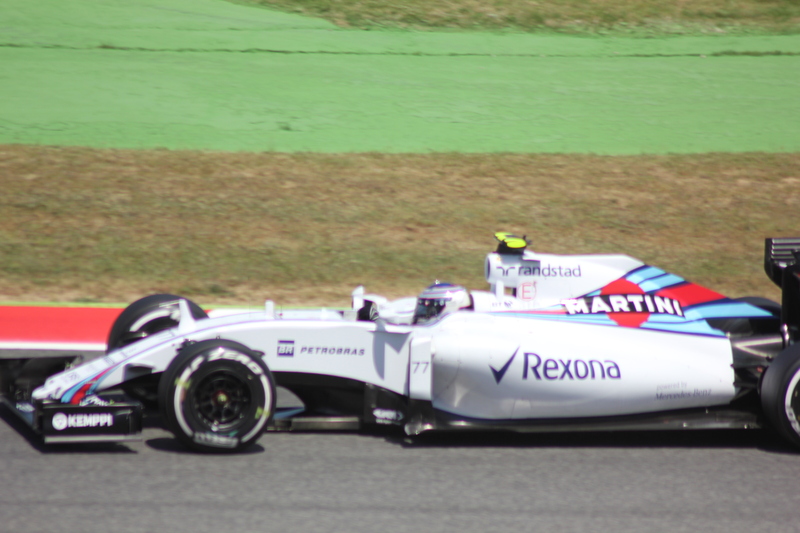 Like at the Singapore Grand Prix, shade in Barcelona was a commodity we chased and cherished. I wasn’t complaining – the circuit had the vibe of a cross between Monza, Silverstone and Monaco. 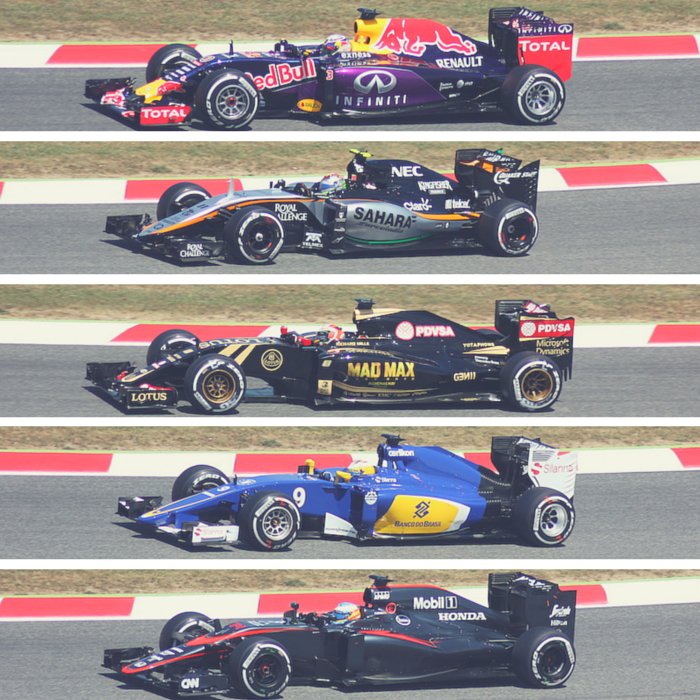 The GP2 and GP3 races were thrilling, particularly as we played our traditional game of ‘I Predict the Winner’ – support races are far more interesting if you have someone to back! For these post-qualifying races we walked the final few corners of the track and checked out some other grandstands as these were now open to everyone in the quieter evening session. The view down the main straight gave me goosebumps and I was overjoyed to get into the iconic main grandstand and watch the GP3 cars scream by underneath me whilst opposite mechanics frantically worked on in Formula One garages ahead of the next day’s big race. It had been a scorching and fantastic day, but the best was still to come. We got the train back to Barcelona and had pinxhos again in our favourite cafe on Calle de la Blai. En route to the circuit on race day morning, we were savvy and bought bottles of water and two large baguettes each on the way in for just a few euros. Although dry and a touch sweaty, a cheese and chorizo baguette was the perfect way to stave off hunger on a day so hot it was easy to forget to eat. We had seen the previous day that nobody was stopping people bringing in food and drink and it would save us a fortune; nice as the paella had been our euros supply was slowly diminishing! 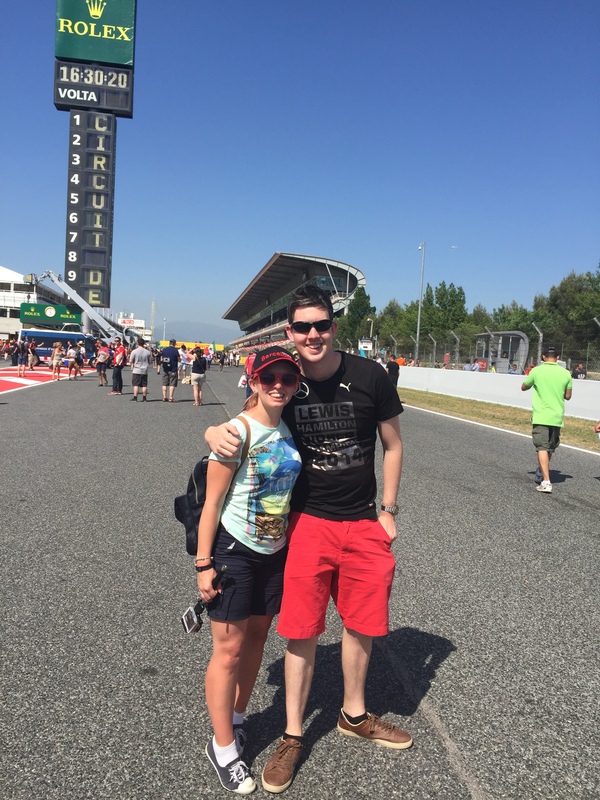 We walked backwards around the circuit to our seats at turns 11 and 12 as the temperature and excitement built in equal measure. 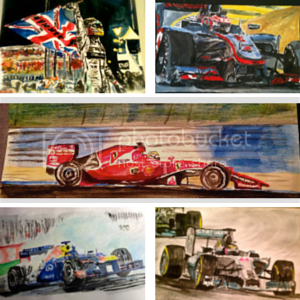 Again, the GP3 and GP2 races were exciting affairs (Stoffel Vandoorne is one to watch for certain!) but come 2pm the atmosphere had reached a crescendo. It may not have been the most thrilling race to watch on TV but at the circuit there is the added fun of keeping track of all 20 drivers and their tyre strategies without fancy graphics to help you. Spotting which driver has a yellow camera above their helmet is key for telling team mates apart! Once the race finished, we had the amazing opportunity to walk the track. The kerbs and tarmac up close looked sublime in the radiant sun and as we rounded the final corner, the sight of thousands of people milling about the main straight was fantastic. We walked past the pits, pole position and the iconic Rolex tower to turns 1 and 2. 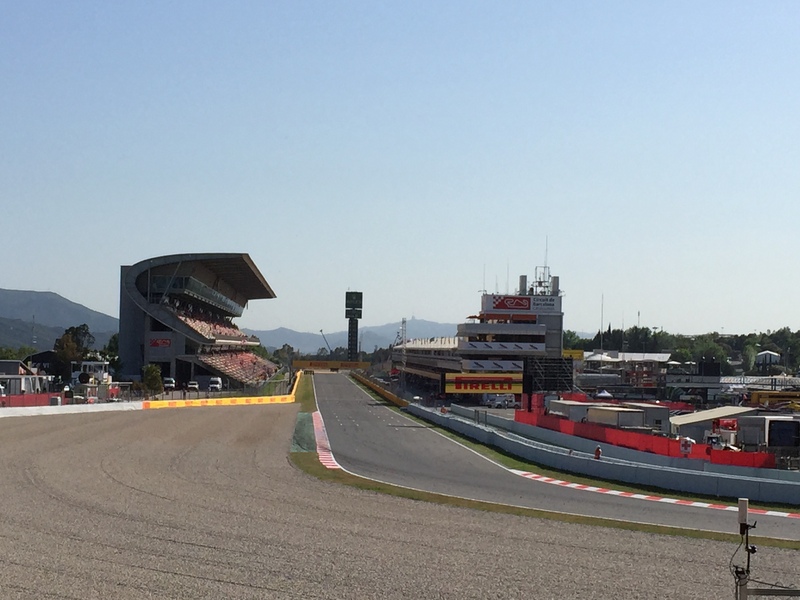 Like several other corners around the circuit, the elevation change there is far greater than it appears on television, and for the first time I understood why Catalunya is the perfect place for testing an F1 car. After a tremendous day at the circuit, we got the train back into town and our apartment, before strolling to the shopping centre opposite La Font Magica and had dinner and delicious sangria at Cafe de Sol on Calle de Parallel. 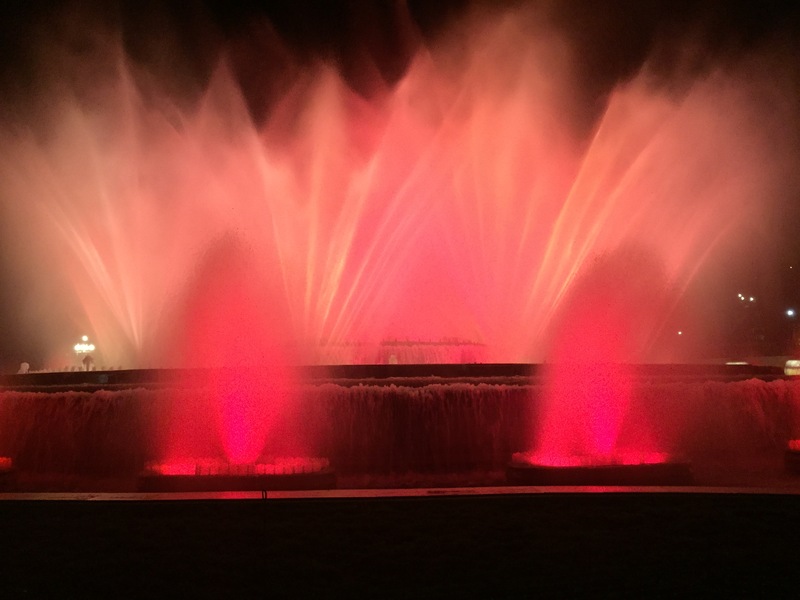 That night, we finally made it to the fountain show after our previous disappointment and saw the whole thing. It was a perfect final night in the city that had completely stolen my heart in just four days. 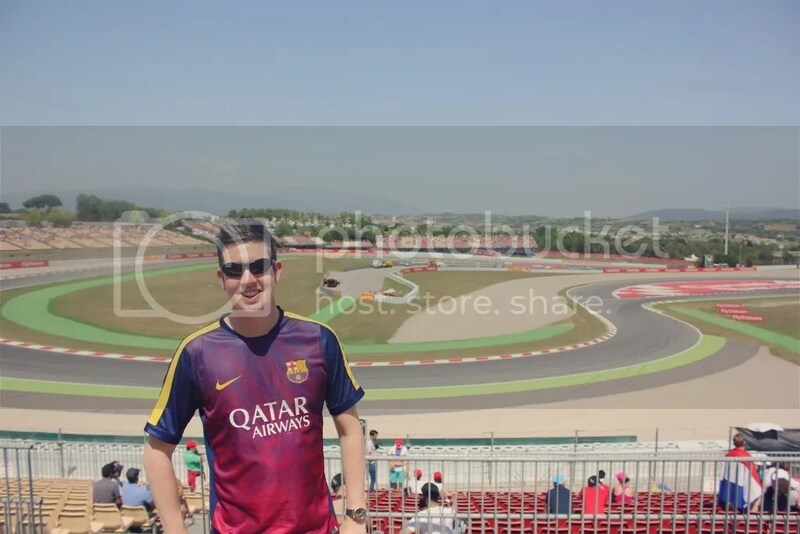 This entry was posted in Europe, Motorsport, Travel, Travel Videos and tagged Barcelona, Catalunya, F1, Motorsport, Spain. Bookmark the permalink.